Many of the plans are warning. 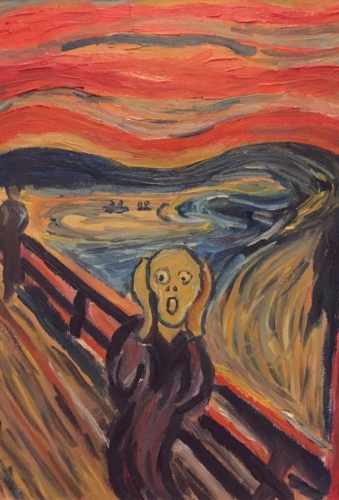 Munch's screaming (cry) is not vulgar. Picture contrast than strong, as is the highlight of this "persecution paranoia" attack. 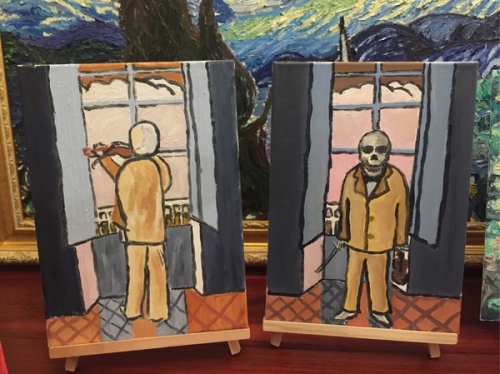 In the painting when I have been listening to Pi Yazola's "four seasons", that violin pull out the "creak creak" and the picture of the unity of the mood. When painting my heart to say "they catch up to catch up to the ah ah ah ah ah ah ah", in the panic to draw a good. 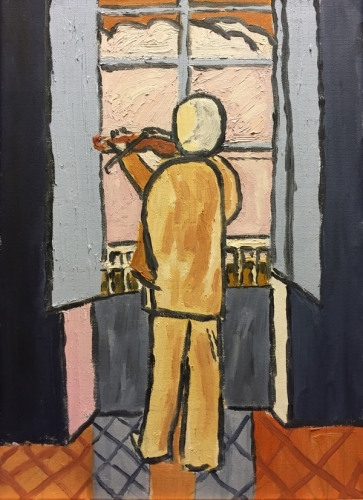 New work: "window of the violinist"
This picture I first saw was at the center of Pompidou. 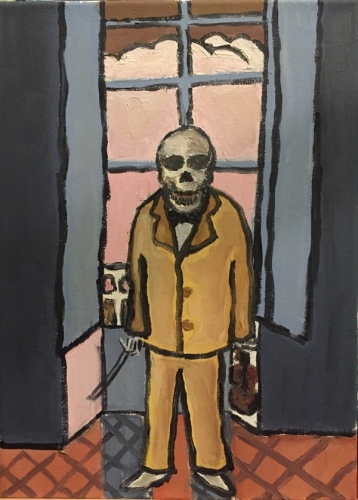 Feeling is a very lonely painting. I stared at it for a long time, the kind of chord off who heard the feeling lingering. The picture through a simple brush strokes and a strong color to bring us a huge pressure emotional impact. 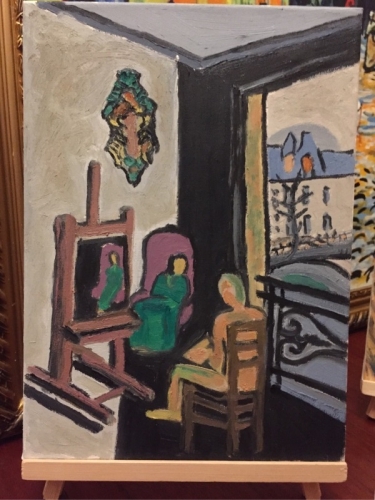 # Matisse is Matisse. I decided to draw a picture back. While listening to the violin playing side of the painting painting, feeling the kind of face the sunset homesick solo lonely. After drawing, the brain hole open. Ha ha ha ha, gorgeous turned!